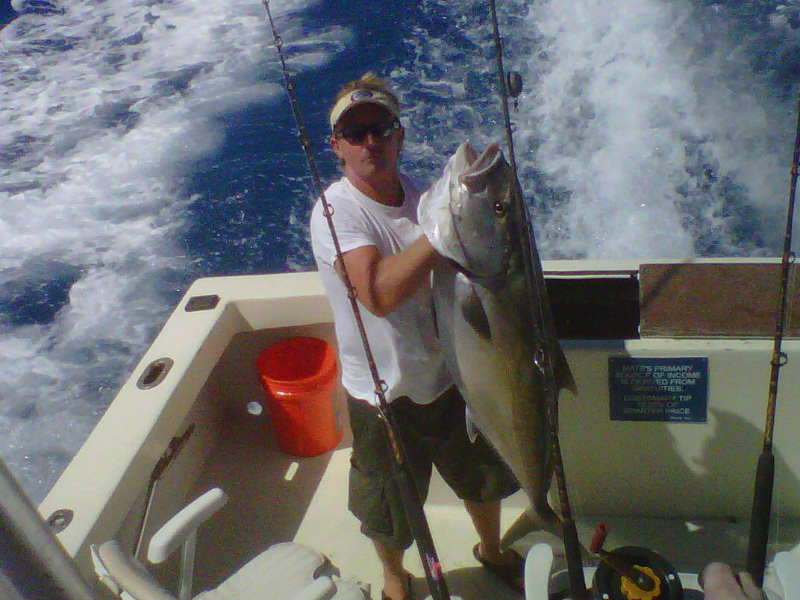 Start your day with an experienced captain and professional fishing guide, the boat will swiftly bring you to the best deep sea fishing Key West locations. Why settle for just one activity when you can actually do more? Our Private Deep Sea Fishing & Snorkeling you experience two adrenaline pumping activities in one day. 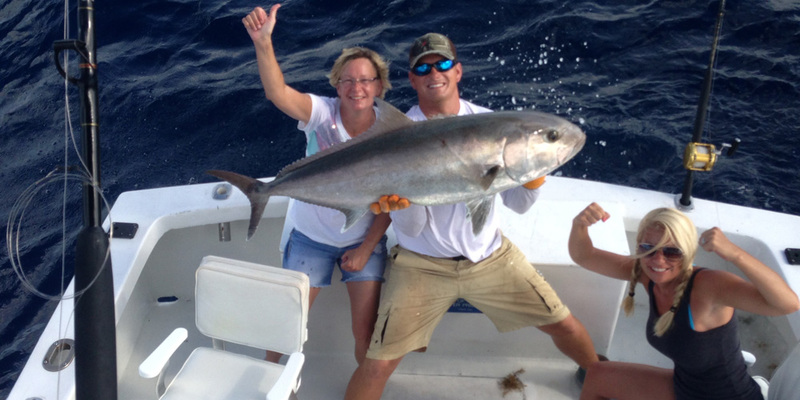 This personalized tour allows up to 6 anglers on a modern charter sport fishing boat. It is spacious and has comfortable seating that can give panoramic views of the island. Plan your day out with the captain and get strategies and tips to ensure a good catch and a great time. You can bring your family or your buddies out and expect to have twice the amount of fun. Start your day by boarding one of our modern fishing boats. Steered by an experienced captain and professional fishing guide, the boat will swiftly bring you to the best deep sea fishing Key West locations. Using the navigation and fishing electronics along with skill and years of local experience, the captain will find the open water sites on the Atlantic that are being patrolled by trophy game fish. On board, you will learn how to use deep sea tackle, and our crew will handle everything until you are reeling in your big game catch. You can expect to catch Blue Marlin, Sailfish, Mahi-Mahi, Dolphin Fish, Tuna, and Sharks among other species. This island has been popular with big game fishermen from around the world since the days when Ernest Hemingway was writing about his Key West fishing adventures. After bringing your trophy catches on board, it is time for you and your mates to go overboard. Our captain will bring you to the some of the best snorkeling sites in Florida Keys. You can see layers and layers of corals that create breathtaking natural art forms. Every turn you make will take you to a different world filled with tropical marine species. Expect to find a variety of rays, eels, small sharks, turtles, parrot fish, and many more. If you are lucky, you will spot Amberjack or Barracuda. If you are a beginner, our professional guide will give you a snorkeling orientation. You will learn how to properly wear the mask, fins, and vest. If you are not that confident in the water, you can request one-to-one assistance to ensure your safety as well as enjoyment. Snorkel leisurely around the reef for an hour and take snapshots with your underwater camera. Afterwards, you can go back to the boat and refresh yourself with ice cold water that is free of charge. For a minimal cost, you can request lunch to be served onboard. 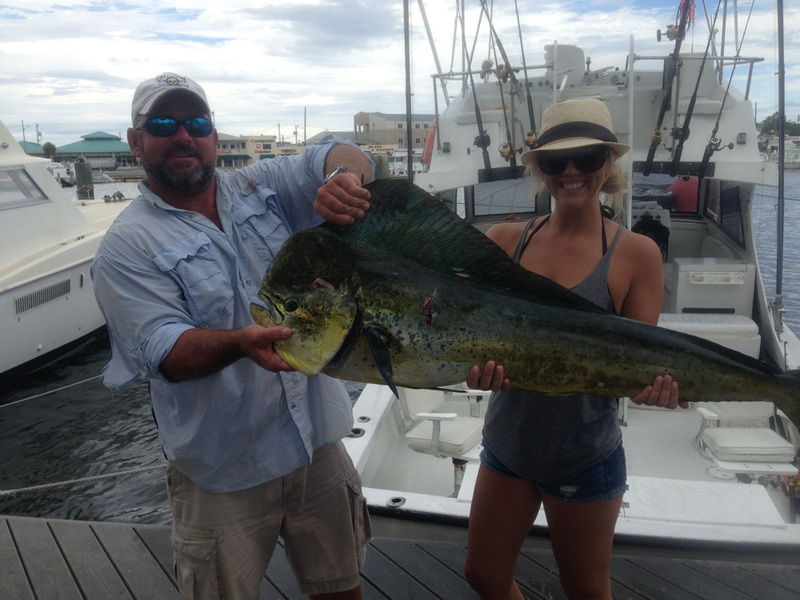 This tour is definitely one for the books and it is only offered here at Key West Fishing Charters. 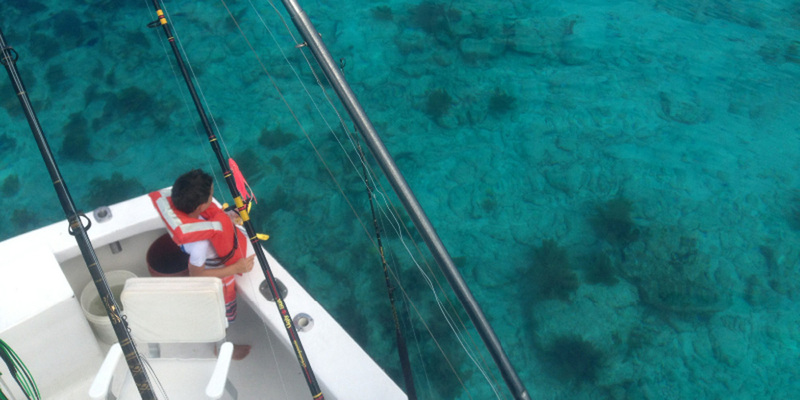 So if you want to experience two different views of the ocean in one day, travel down south and book our Private Deep Sea Fishing Key West & Snorkel Combo. Advance booking is highly recommended as this is one of our most sought after charters. We hope to see you here at Key West! Check-in time: Please be at the dock 15 minutes before the charter start time. Authorized reseller of FishKeyWest.com™ Charters. 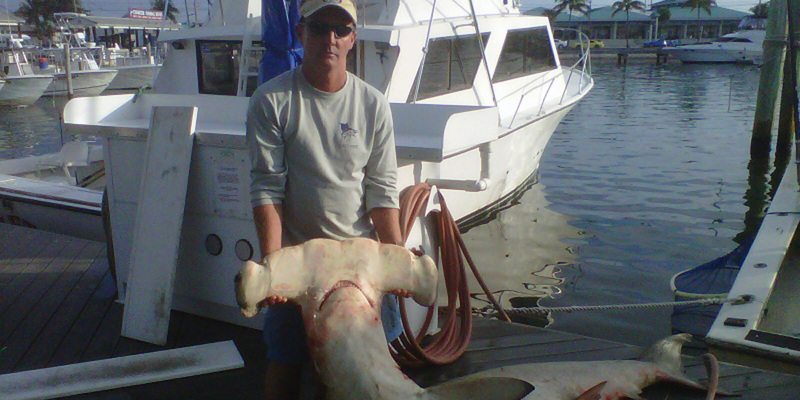 How long are the Fishing Charter Trips? Ultra Grand Slam can handle parties of up to 6 anglers. No, but you can bring your favorite foods and beverages and we will provide cooler space and ice to keep them fresh and cold.